After my husband and I tried to fix his denture using nail acrylic, his plate was not lined up properly and uncomfortable in his mouth. We called around to every dentist trying to find someone that would do it. After my husband and I tried to fix his denture using nail acrylic, his plate was not lined up properly and uncomfortable in his mouth. We called around to every dentist trying to find someone that would do it. After being told that it would take 3-4 hours to fix and some even saying that they wouldn’t even touch it we came across Discount Dental in Joondalup. Was instantly told that they would be able to do it, and it took them less than an hour! So grateful that we came across them, now my husband says he won’t go anywhere else!!! 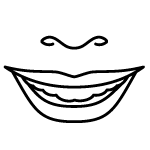 I previously had a bad experience with a denture clinic not Discount Dental which in turn made me anxious to visit any denture clinic but from the minute I met Lee I knew he was very professional. I was very pleased with the time he took to make sure I was happy with my new teeth nothing was to much trouble and the end result was AMAZING. Called Discount Dentures at 11pm Friday night after snapping my partial denture. It was repaired and ready to go before 8am the following day. Didn’t have to drop my denture off to the dentist and be without it for the day. I just waited for it to be done on the spot and I was able to make it to work by 9am and keep all my weekend plans! Professional, friendly and knowledgeable! I travelled from the city to Joondalup and wouldn’t hesitate to go out of my way for this service again. Thanks for all your help, I just wish I had known about you years ago! Went in for a bleaching tray, couldn’t fault a single thing! I was nervous about getting the impression but Lee made me feel at ease and made the whole experience comfortable. Staff were warm, professional and friendly. Quick turn around, I am so pleased with it I definitely recommend them to everyone!! AMAZING SERVICE! first time getting a denture made for myself. Lee and Jo made the process so easy and stress free. VERY professional and i’m really please with my new dentures. i highly recommend to my friends. Fantastic. The team could not have done any more to help me…just go and see them..you will be blown away by the old fashioned customer service…and well priced products. We were so impressed with the friendly staff at Discount Dentures that after Lee had repaired my denture I decided to have a new one made by him. Am really pleased with the results and will recommend fully. All the staff are friendly and professional and the clinic has a nice feel. Great service! Not just for seniors! I recommend them all my friends and family, affordable and great quality on all dental not just dentures! bleaching trays, snoring guards, mouthguard the works!! After having a very bad experience with a dentist that could had coursed me a lot of pain, damage & finance problems. I walked into Discount Dental at joondalup. The minute I walked into the surgery & spoke to Lee & Joe I felt at easy that these people knew what they are doing. I found Lee & Joe both very profesional, friendly, very informative & knew I would get the best service here which I did. I would highly recommend them.